For the first time, teachers and university officials who have participated in the National Science Foundation (NSF) Research Experiences for Teachers (RET) program gathered for a conference to share their experiences and develop an action plan to improve the program. The conference, Research Experiences for Teachers: Leveraging Our Collective Impact, drew approximately 90 K-12 teachers, principal investigators (PIs), graduate students, university administrators, and science, technology, engineering and math (STEM) policy makers from around the United States to the StateView Hotel on NC State’s Centennial Campus Oct. 21-23. NC State’s College of Engineering hosted the conference, which was supported by an NSF grant. 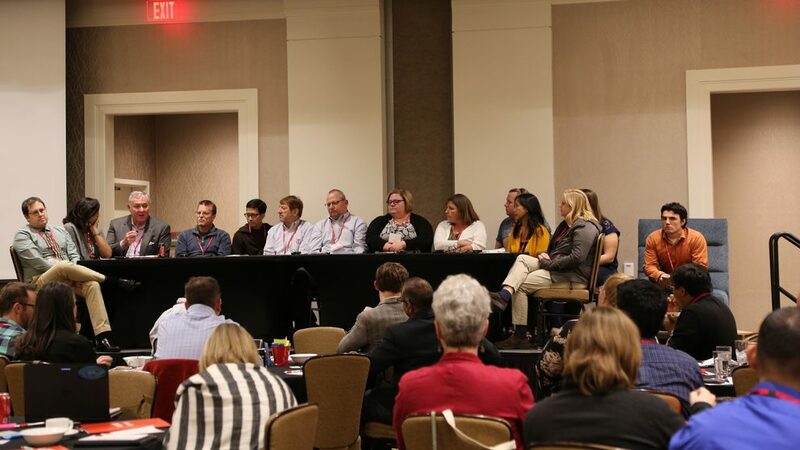 During working sessions and panels, attendees discussed how RET fits into the larger engineering education ecosystems, how to better support classroom teachers and how to improve participation by women and minority students in engineering and computer science. RET is an NSF initiative that brings K-12 STEM teachers and community college faculty members to college campuses to conduct engineering and computer science research. Teachers spend six weeks of their summer at an RET site participating on a research team, with the larger goal of bringing back what they’ve learned to their classrooms. Mary Poats, NSF program manager and director of the RET program since its inception 15 years ago, attended the conference and said it was an important step in getting collective information on the impacts of RET. Damian Baraty, a computer science teacher at The Hill School in Pottstown, Penn., completed the RET program at Drexel University. He’s planning to incorporate curriculum involving machine learning into his classes, as well as Python and Java libraries that help with data visualization. He’s also attempting to make an infrared detector to measure brain activity. “I take my poster back and my students see they have a teacher who’s still engaged in learning, as we should all be lifelong learners,” he said. Baraty said it’s been exciting to learn about what other RET programs are doing, as well as to be part of a conference that’s the first of its kind. He participated on a teacher panel, which Poats said was one of the most impactful moments of the conference. 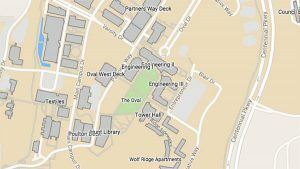 NC State is in the third year of its RET site, with plans to apply for another three-year grant. The teams are placed in labs focused on the Grand Challenges for Engineering. Dr. Jerome Lavelle, associate dean of academic affairs in the College, and Dr. Laura Bottomley, director of the College’s Women in Engineering program and The Engineering Place, are the co-PIs for NC State’s RET site. Dr. Matt Stimpson, director of assessment and project evaluator, and Dr. Amber Kendall, coordinator of STEM partnership development and project manager and researcher, are also with the RET team, and they coordinated the conference. Amelia Greer, a science analyst at NSF who attended the conference, visited NC State’s RET site in 2017. She said she thought the model NC State used for its research teams — which are comprised of a K-12 teacher, a community college STEM faculty member and engineering and education students — helped each team member develop insights on creating curriculum, translating the research in the classroom and understanding the research. Greer said the conference was important for forging connections among teachers, PIs and evaluators. “I think these connections seem really powerful and have the potential to expand the impact of the program,” she said. A final report on the recommendations and insights that came out of the conference will be reviewed by NSF. Several PIs and teachers will be on a discussion panel about the RET conference at the annual American Society for Engineering Education conference in June 2019.